If you think that hiring us will cost you dearly, you are wrong. We are prepared to offer you a custom quote that will respond to your budget and the requirements of your man and van job. Also, we have special rates for removals from Monday to Thursday. Our man and van business is also fully certified to provide you with additional services that include eco-friendly rubbish removal and end of tenancy cleaning services. We are capable of providing insured and reliable man and van services at affordable prices to both small and large businesses in BR7. Our polite and motivated helpers have the training to securely and e fficiently organize the move of special appliances and expensive professional equipment, regardless of its size or weight. We also have a great collection of moving vans which are not only remarkably eco-friendly, but are also fast and up-to-date. That is why we are able to offer competent and speedy transportation of office furniture and items. You can also opt for our specialized packing service to better protect your equipment and possessions against scratches, damages and breaks during their transit. Simply call us today to get your free instant quote. Elmstead is situated in the southeastern part of the UK capital and falls within the London Borough of Bromley. The name of this mainly residential area denotes that it is a place that has many elm trees on growing its territory. 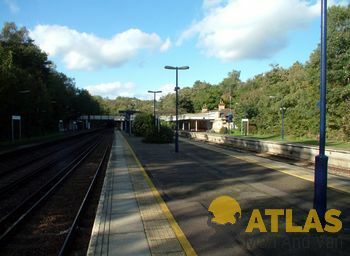 Elmstead is connected to Sevenoaks, London Charing Cross and Orphington through the Elmstead Woods train station. In addition to that, it is linked to New Addington and Eltham via bus line 314.